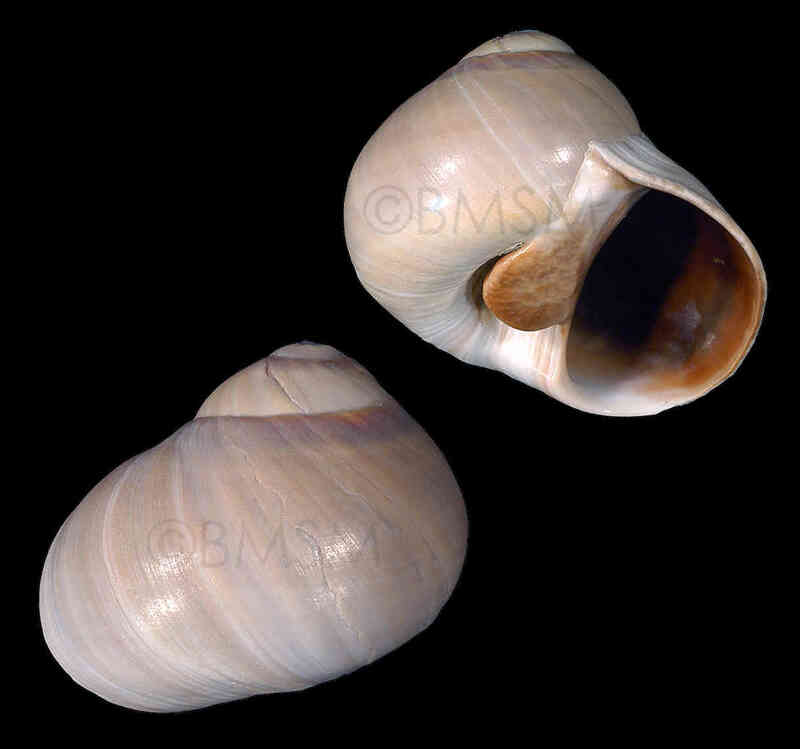 Shell size to 70 mm; shell globose with four to five solid whorls. Spire moderately elevated. Umbilicus almost always associated with a brown callus. Umbilicus delimited by a noticeable edge in adult specimens. 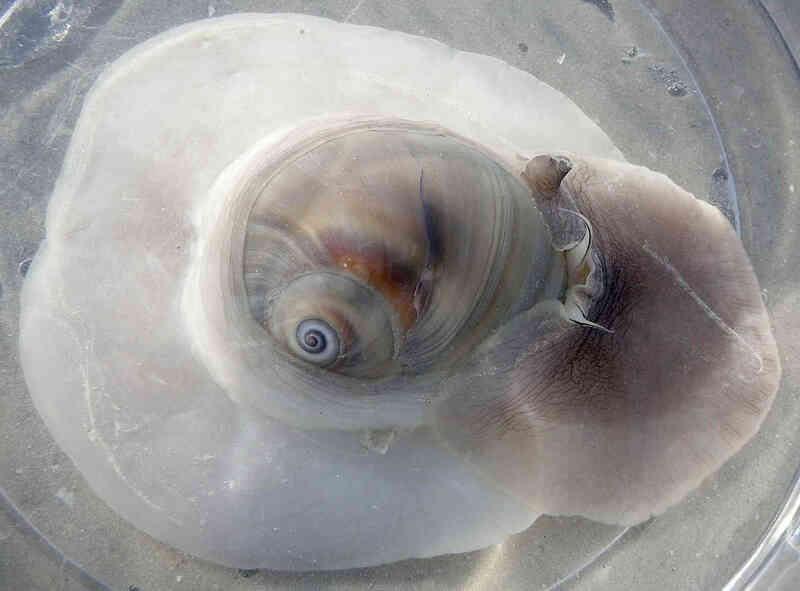 Operculum horny. Color grayish to dirty-white. This species is distinguishable from the similar Neverita duplicata by its higher spire and umbilicus delineated by moderately sharp edge. The photo of the living animal was taken on February 22, 2012, on Kice Island, Collier Co., FL, by Linda Shockley.